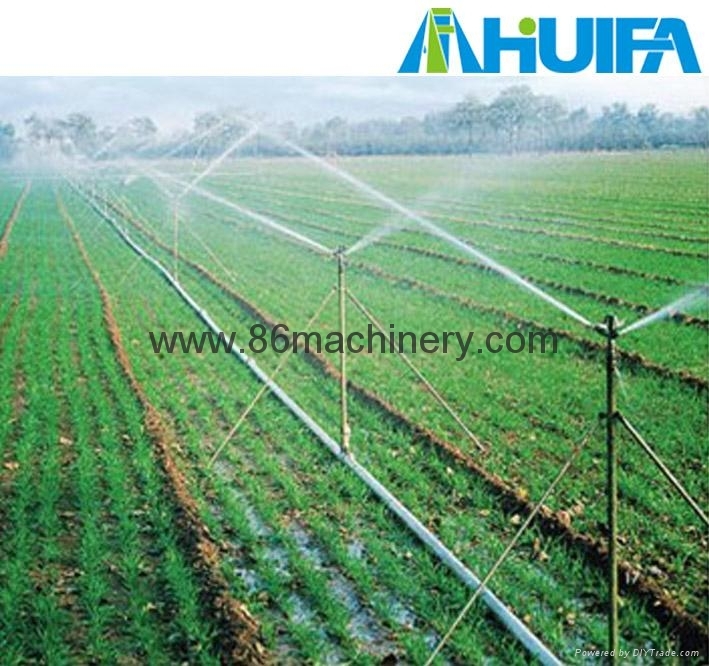 Sprinkler Irrigation system is a method of applying irrigation water which is similar to rainfall. Water is distributed through a system of pipes usually by pumping. It is then sprayed into the air and irrigated entire soil surface through sprinkler heads so that it breaks up into small water drops which fall to the ground. Sprinkler set includes tripod, stand pipe, spray nozzle, tee joint and hoops.